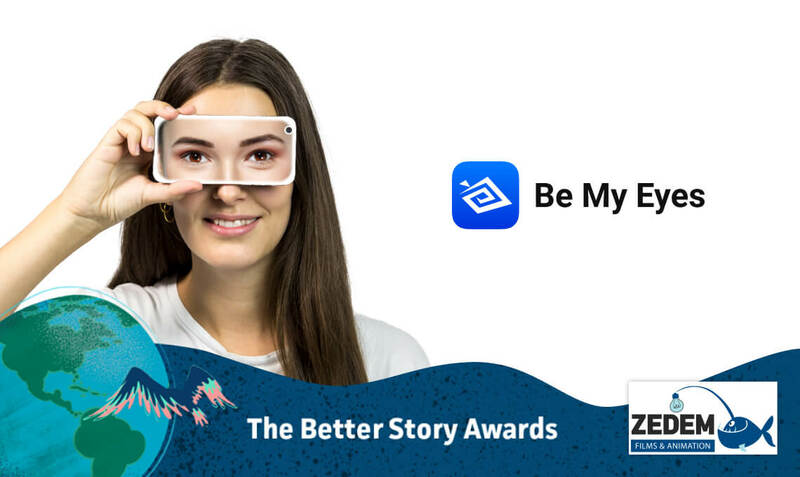 On January 15th 2019, Be My Eyes was announced as the winner of the Better Story Awards - an award created by Zedem Media to honor organizations that create a positive change in the world. 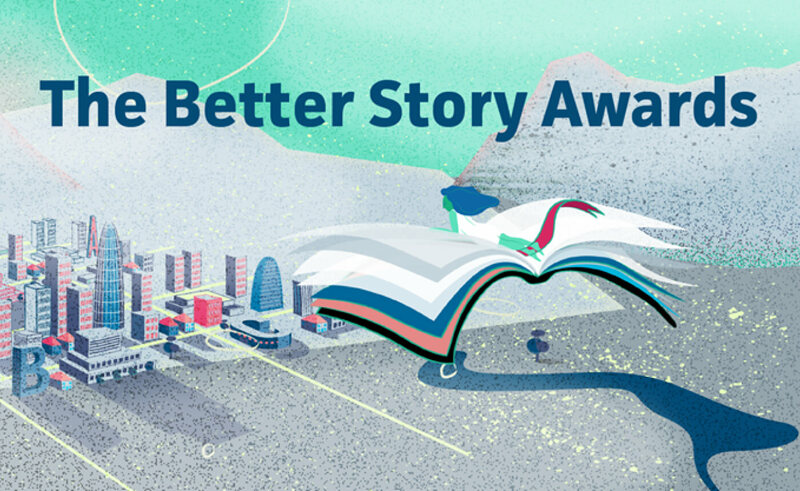 The Better Story Awards' animated logo picturing a woman lying on a human-sized book that is flying over a city. The world is full of many different stories. But the stories that often dominate our world are the ones of misfortune. Zedem Media, a film and animation company based in Cyprus, wanted to do their part in changing that. They wished to support and honor organizations that are creating a positive change, and that’s why they have started the initiative ‘Better Story Award’ - to help amplify the voices of organizations making a positive impact and to share the better stories. Be My Eyes is honored to be presented as the winner of the Better Story Awards with Zedem Media recognizing the impact that not only Be My Eyes as a company, but also the more than 1.8 million volunteers make for blind and low-vision people all over the world, as well as the story behind what we do. "We believe we have a wonderful story to tell and we’re very excited to get the opportunity to work on this story together with a great company like Zedem Media”, says Hans Jørgen Wiberg, Founder of Be My Eyes. Be My Eyes volunteer holding a phone in front of her eyes with a different set of eyes on the back of the phone next to the Be My Eyes logo. In the bottom of the image is written "The Better Story Award" along with the Zedem Media logo. Be My Eyes and Zedem Media are going to work together in creating an animated film to help amplify the voice and spread the story about Be My Eyes. The Better Story Awards gave us the chance to meet many organisations from around the world. It is very inspiring to listen to their stories and see how they come up with creative ways to make our society better. Even though we are a small animation studio, giving back to the community and supporting artists and non-profits has always been at the core of our culture. This is one way for us to give back to the community with what we do best, films and animations. Be My Eyes is a great example of how creativity and technology come together to help people from around the world, and more specifically to bring sight to blind and low-vision individuals. It is a very inspiring story and our creative team is really looking forward to turn this story into an animated film. - Michael Kalopedis, Director & Producer, Zedem Media. Zedem Media is an animation studio specializing in animated videos. They have created more than 1000 videos for clients from around the world. 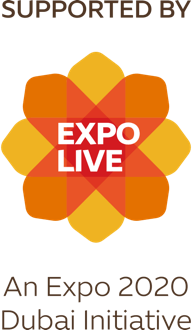 They have clients ranging from global companies, to start ups and NGO’s. You can learn more about Zedem Media and check out their videos on www.zedemanimations.com.